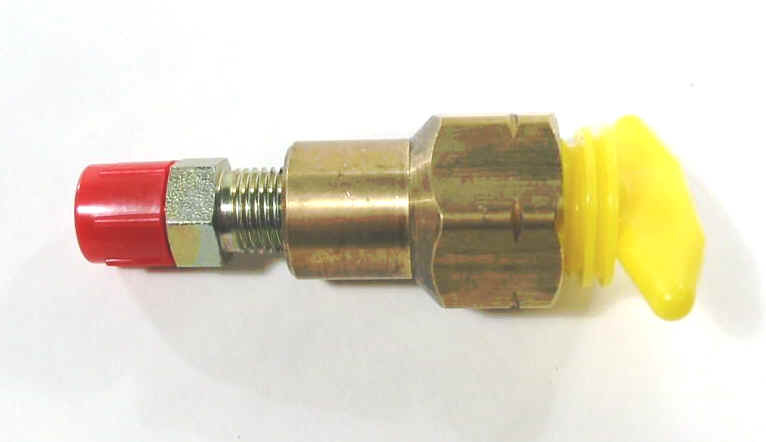 Special Note: The adaptors and fittings shown on this page are intended for use in hot air ballooning re-fueling applications. These adaptors and fittings are NOT TYPE CERTIFIED! THEY MUST NOT BE PERMANENTLY INSTALLED IN ANY TYPE CERTIFIED HOT AIR BALLOON! They are intended for re-fueling purposes ONLY! THIS REFUELING FILTER TRAPS DEBRIS WITHOUT SLOWING THE REFUELING PROCESS. These propane filters have a replaceable stainless steel strainer element. It can be installed in any of our refueling adaptors shown below, on this page. The filter can also be purchased separately. Entry and exit fittings are 1/4 male npt. ADD A FILTER TO ANY ADAPTER (ADD THIS PRICE TO REFUELING ADAPTER PRICES SHOWN BELOW) #FA20 1/4 LB $169. REFUELING FILTER PURCHASED SEPARATELY #FA21 1/4 LB $193. A BLEED VALVE ON YOUR REFUELING ADAPTER ALLOWS YOU TO DEPRESSURIZE THE REFUELING ASSEMBLY BEFORE DISCONNECTING. 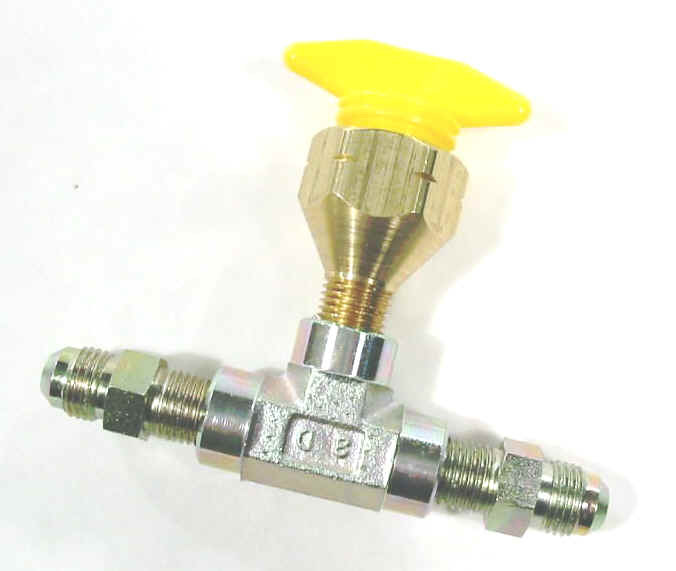 By depressurizing your refueling assembly, removal of fittings will be easier and you will put less wear and tear on any o-rings installed in your tank connection fittings. You can add a bleed valve to most of our refueling adapters found below. 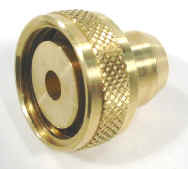 ADD A BLEED VALVE TO ANY ADAPTER (ADD THIS PRICE TO REFUELING ADAPTER PRICES SHOWN BELOW #FA18 1/4 LB $28. 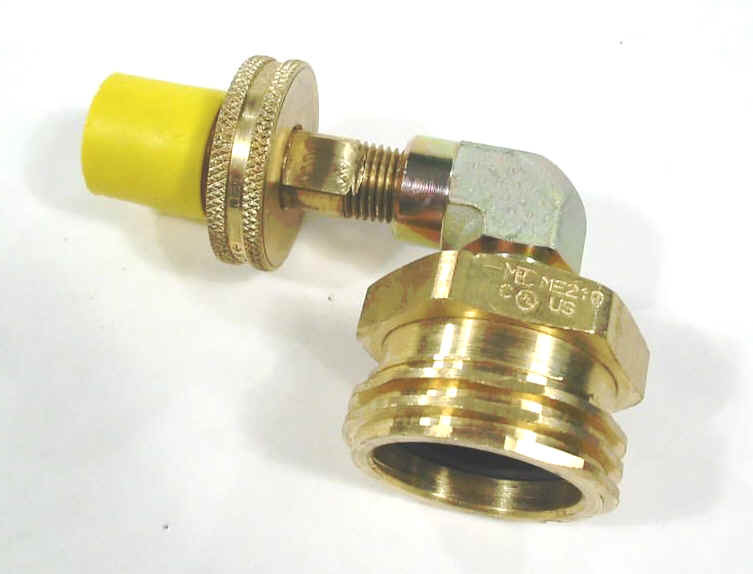 WE CAN ALSO ADD FLEXIBLE HOSE TO CONVERT MANY OF THE OTHER ADAPTORS FOUND ON THIS PAGE. This flexible refill adapter makes it easier to reach propane tanks in the basket. 24" FLEXIBLE REFILL 1.75ACME w/bleed valve X 7141F #FA10 3 LBS $119. 24" FLEXIBLE CONVERSION FOR OTHER ADAPTERS - ADD TO ADAPTER PRICE #FLEX 2 LBS $42. MADE IN USA Finally, a cap for the CGA 555 liquid withdrawal valve. Solid brass construction. Includes lanyard chain and clip. Right Angle POL Re-fill #FA 1 2 LB $39. Right Angle Propane Truck Re-fill #FA 2 2 LB $49. Straight Propane Truck Re-fill #FA 2S 2 LB $39. MADE IN USA POL Female to 7141(aka 1-1/4 ACME or Cameron) Female. Cameron Re-fill Adapter #FA 5 2 LB $49. 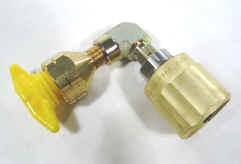 MADE IN USA POL Female to Single fuel hose end flare fitting. Aerostar Single Point Re-fill #FA 3 1 LB $24. MADE IN USA POL Female to double (2) fuel hose end flare fittings. Aerostar Double Point Re-fill #FA 4 1 LB $39.